Releases on 30/05/2019. 42 Days left to Preorder! Become the embodiment of terror in the Lands of Always Winter with this fantastic Game of Thrones: White Walker Mask! This highly detailed and officially licensed White Walker Mask is a must have collectors piece for any Game of Thrones fan - bringing the terrifying nature of the White Walkers to life! 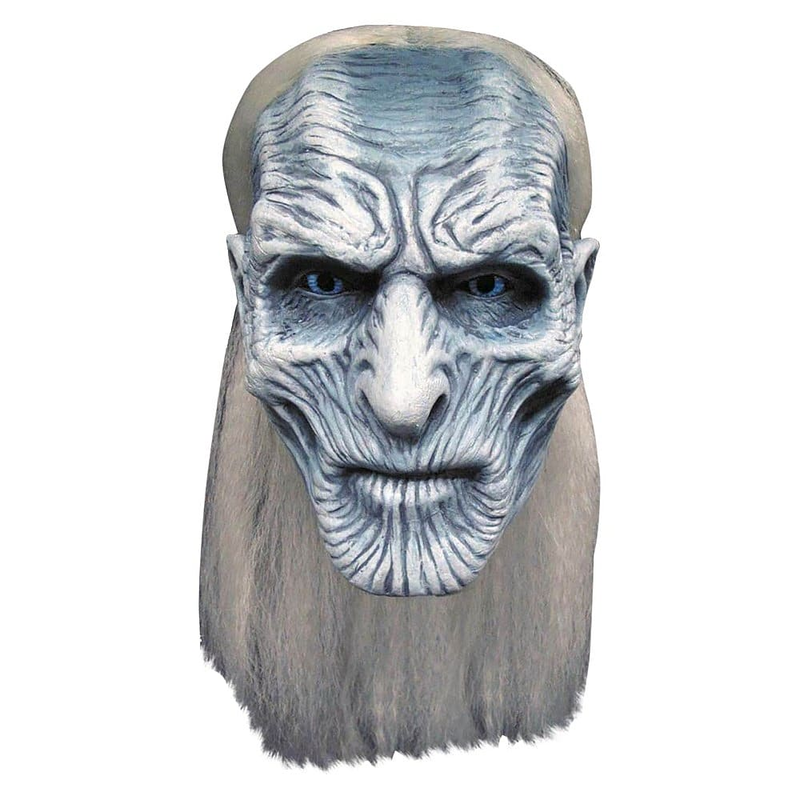 Don't miss out and shop the Game of Thrones: White Walkers Mask today, at GAME. From the Far North of Westeros, the White Walkers are an icy race of formerly human people. Having been hidden for 1000s of years beyond the wall, they faded into myth only to emerge under the leadership of the Night King. Characterised by their piercing blue eyes and mummified appearance, the White Walkers have long been the most feared creatures in Westeros. With this fantastic collectors quality latex mask you too can become a White Walker and assume the role of the most feared creature in Westeros! Hand painted with a highly detailed finish, you'll be sure to cause the room to freeze when you enter! Designed to fit round the wearers head and neck with a realistic finish, this mask will be great for cosplay, Halloween or as a collectors piece!